- Focus on sports riding. - Focus on daily street riding. - Engine is located near in the steering head. - Fuel tank is located near in the COG. 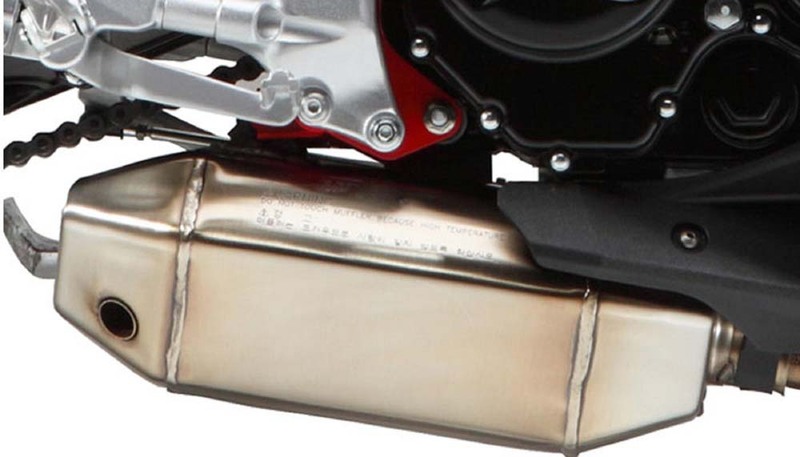 - Muffler is located below the swingarm pivot. - Electric equipment unit is located near in the steering head. - X-5's steel tubular trellis frame is designed to connect directly between the steering head and pivot. Its compact size reduces weight while enhancing the rigidity of the frame. 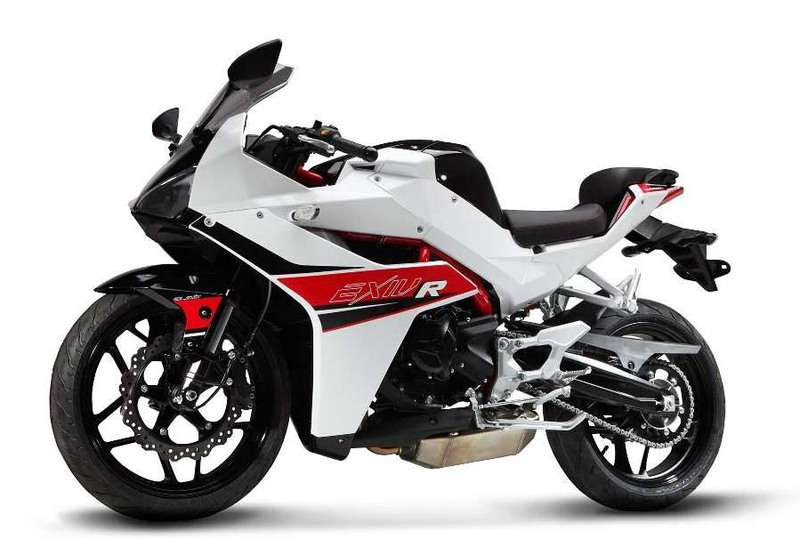 - X-5 is equipped with a long 553mm swingarm coupled with the short 1340mm wheelbase. These features combine to provide a dynamic steering characteristic and constant movement of the suspension. 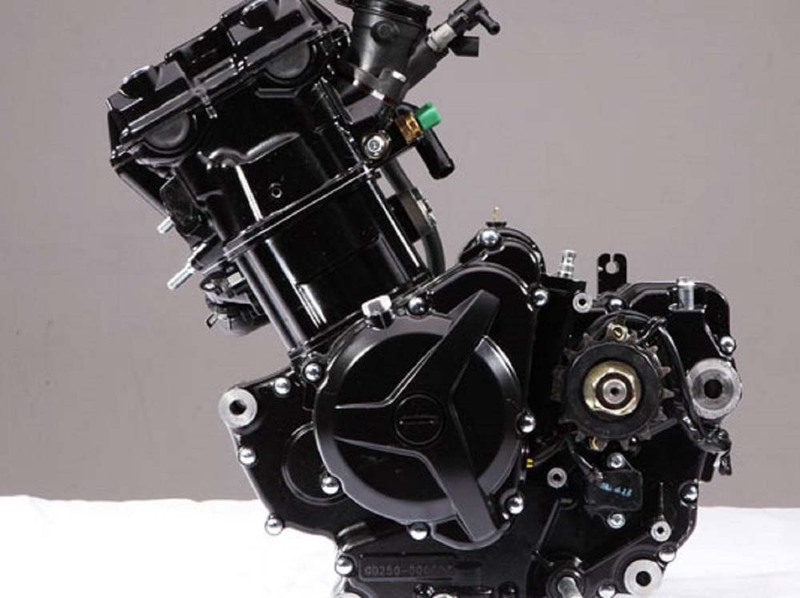 - Silencer located below the swingarm pivot which improves mass centralization. 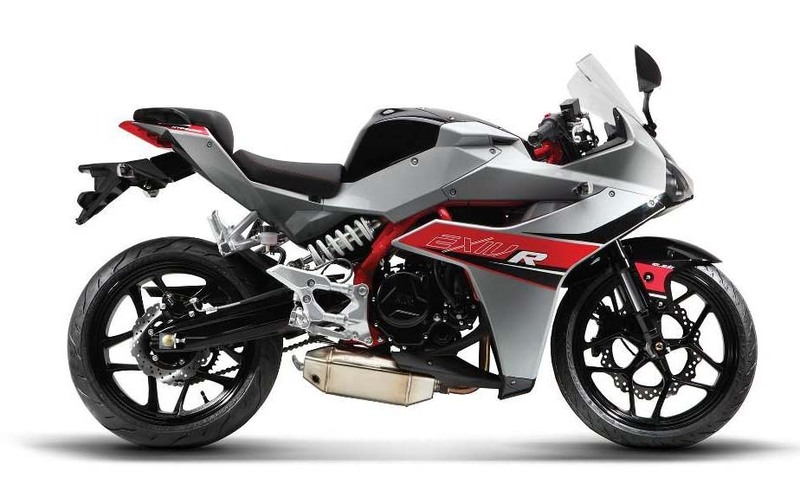 Centralized muffler having optimized center of gravity gives X-5 more active handling. - Fuel tank located near in the COG. which improves weight centralization. - Fuel tank is tilted toward swingarm pivot, the fuel always gathers around the center of gravity. This feature provides natural steering character by reducing the amount of front / rear weight transfer. - Fuel tank is made from plastic for weight reduction. - Front: Ø 300mm single disc, opposed 4 piston caliper. - Rear: Ø 230mm single disc, opposed 2 piston caliper. 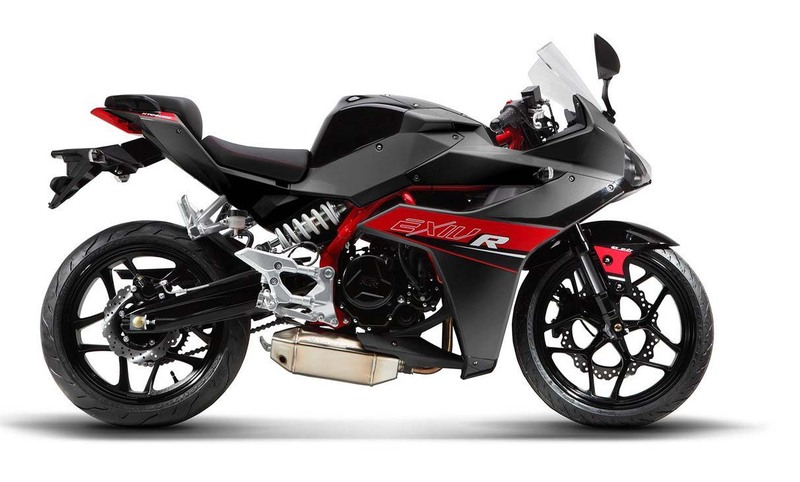 - The monocross shock absorber is laterally mounted because this solution frees up space to the centrally located fuel tank, allowing perfectly symmetrical weight distribution. 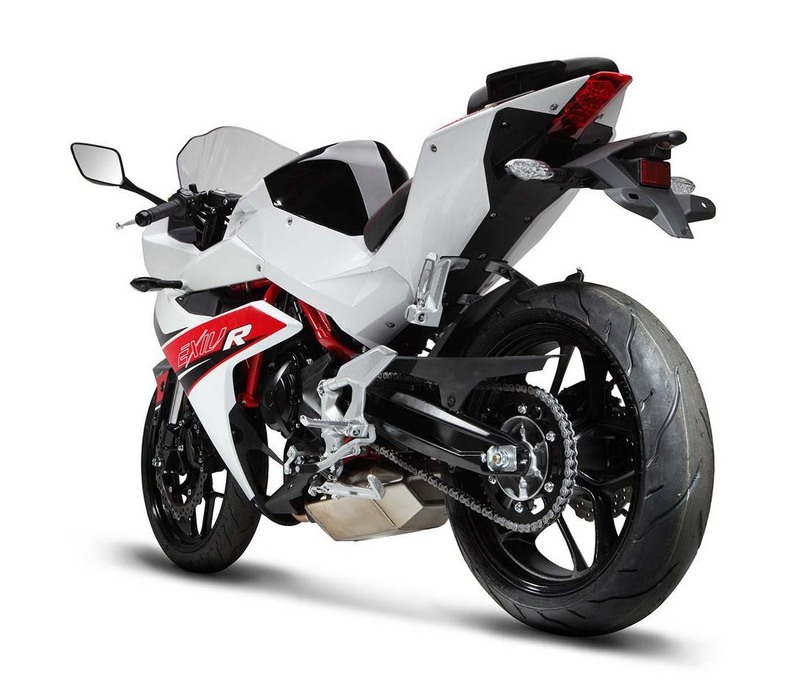 The lateral shock absorber is pivoted directly on the swingarm. - Electric equipment unit box is located at the top of the cylinder head. 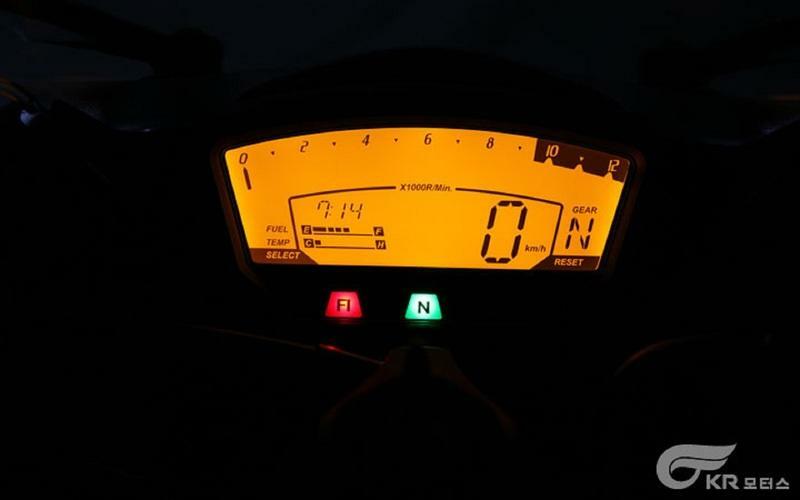 It contains battery, ECU, relay, fuse, regulator, sensor, etc. - This unit construction improves maintainability while reducing weight by shortening the harness and reducing the number of brackets.